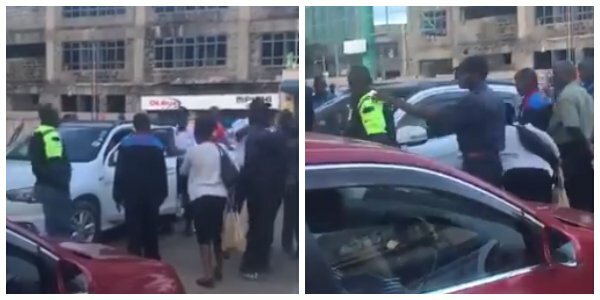 There was drama in Westlands yesterday after a bitter argument erupted between an Indian lady and two Kenyans after the lady insulted them. A video has been doing rounds on social media showing the argument which the lady in a white car speeds off after hurling insults of all kinds. According to witnesses, the lady who was in the white Mitsubishi Outlander Registration KCM 531F called a man and a woman “black Monkeys” at OilLibya Westlands. Yesterday on 14/05/2018 at OilLibya Westlands, an Indian lady in a Mitsubishi Outlander Registration KCM 531F called a lady and a man who were in her way -“ Black Monkeys”. It’s very unfortunate that the watchmen at the petrol station were defending the lady.” a video was captioned online. Wanjiru Njoroge Favour I was at a Total petrol station on a Sunday afternoon, queuing at the pressure pump, an Asian woman came and parked right beside me and started hooting asking the attendant to check her tyres; the attendant asked her politely to wait as there were others ahead of her. Weh! 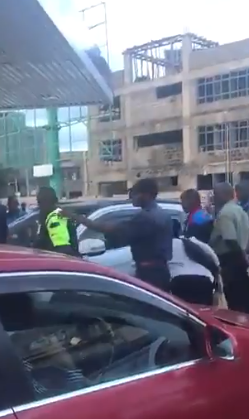 She started causing a scene and shouting, the manager who had been seeing all these came and told her “madam, please go to another petrol station if you are not able to wait” She must have insulted us in a language we did not understand as she drove off in anger hooting like madness. That manager became my hero, i fuel at that Total since then. It time we learnt that white or black, we’re all equal!